I am fortunate enough to have enjoyed the benefits of a fruit diet for over 27 years. My time on a fruitarian diet has been such a delightful experience, and I feel very blessed to have taken those initial steps onto a path that has been such a joyous journey. I believe that, to succeed in the long term on any diet, the diet must provide us with what we need on physical, emotional and mental levels. There are many parts that need to be in place for total holistic wellness. These include a well-functioning physical body, spiritual and emotional harmony and balance, and mental clarity and positivity. Therefore, to truly thrive and reach optimal health, all these different pieces need to fit together to form a cohesive whole. “I believe that when we have solid faith in this diet, a faith that is backed by science and logic, then this is mirrored back to us by other people,” Anne Osborne writes. This couple’s exuberance will disarm others, helping open them to the idea of enjoying fruit such as watermelon for their meals. 1. Being ready emotionally, mentally and physically to embark on this way of living. Going through a transitional period can really help with getting ourselves to a place where we are primed to fully embrace a fruit-based diet. Transition diets can help the body, mind and soul adjust to this different way of living; they can ease us gently into this new state of being and help ensure long-term success by creating a solid foundation. In addition, a gradual changing of one’s diet allows the rate of elimination an individual experiences to be regulated to a level that is appropriate for each person. Because we all have differing past health and lifestyle histories—combined with our genetic heritage—each person will experience differing rates of elimination whilst symptoms will also vary from person to person. Detoxification can be emotional and mental as well as physical. 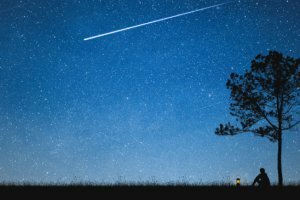 When we let go of dietary security blankets, we have to face our raw emotions and thoughts rather than numb our feelings by using alcohol, drugs or heavy foods. Arnold Ehret and Essie Honiball, two amazing pioneers of a fruit-based diet, recommended transitional diets to help people succeed long-term on a fruitarian lifestyle. Ehret and Honiball believed that a transitional diet helped to effectively prepare the bodies, minds and emotions of those wanting to adopt a fruitarian diet. 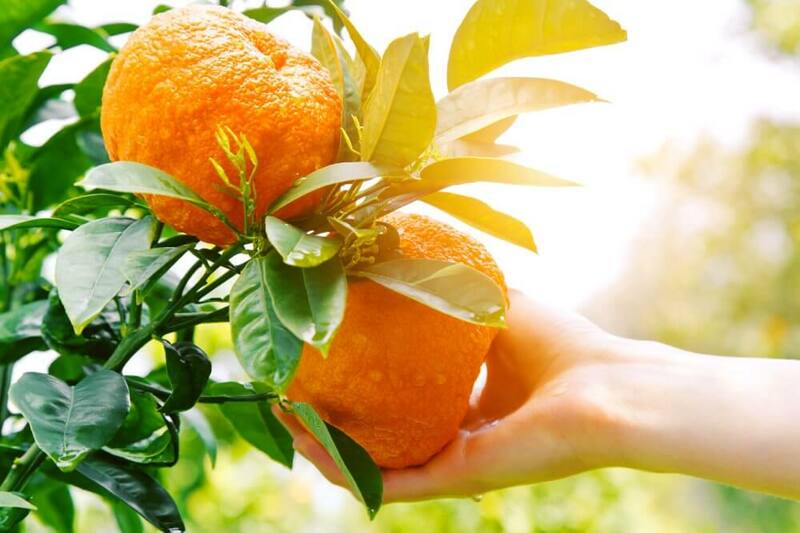 To help yourself succeed on a fruit diet, it’s vital to enjoy high-quality fruit and, at best, high-quality tree-ripened fruit, Anne Osborne writes. 2. To be able to access high-quality fruits. To truly thrive, I believe we need to feast on fruits grown with love and naturally in rich, fertile soils as well as picked properly ripe. No matter how well-prepared emotionally, mentally and physically we are for this diet, if we are not getting the micronutrients (vitamins, minerals and antioxidants) and the macronutrients (carbohydrates, proteins and fats) we need, then we will not thrive and flourish. Accessing high-quality fruits can be one of the most challenging aspects of this diet and lifestyle. Opting for organic, biodynamic, home-grown, foraged and local fruit can help ensure we get our nutrient levels met. 3. Last but not least, I believe it is vitally important to have faith in this diet and lifestyle. By faith, I do not mean blind faith, in which we decide to go on a diet and think everything will be OK and just fall into place. I mean a faith built upon knowledge, experiences, research and good solid science. One of the most exciting aspects of building faith, for myself, has been reading and researching all aspects of why a fruitarian diet is a biologically appropriate dietary for humans. For myself, the fruitarian diet is not just some airy-fairy diet in which I hope all will be well because it just sounds like a great way to live. This diet needs to be founded in rationality and logic as well as be ethically and environmentally sound. Therefore, I have spent the past 27 years reading, researching and continually discovering information on why fruit is the perfect food for humans and can be the staple element of our diet. Nothing I have read or researched over the past three decades has led me to believe that we are anything other than frugivores by design. For me, this diet has to be logical and rational and be founded on good science. The more I find out, the more my faith grows in this diet, and it is not a blind faith because it is rooted in the scientific principles of biology, chemistry, nutrition, anatomy and physiology. I identify sound facts that give substance to my faith and research rational information that I can share with other people who either want to adopt this diet or have questions about its validity. I Live on Fruit by Essie Honiball and Dr. T.C. 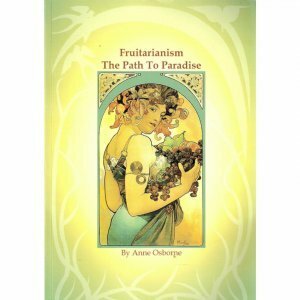 Fry is one fruit diet book Anne Osborne recommends to help transitioning fruitarians learn about and gain confidence in their newly embraced lifestyle. I believe that when we have solid faith in this diet, a faith that is backed by science and logic, then this is mirrored back to us by other people. This can be especially useful if we are raising children on a fruit-based diet. In my experience, the stronger my faith, then the less likely people are to criticise or question my diet. When I can give thorough explanations of the biological and chemical laws that support this diet and show an effective knowledge of dietetics, then this really has helped not only to build my own faith in this diet but limit any irrational opposition to the way I eat and the way I chose to raise my two children. I have truly enjoyed studying the pioneers of natural living and fruit-based diets. Works from the mid-19th century to the 1940s have inspired me with their detailed scientific study of fruit diets. I have been excited by the joy that leaps out of the pages written by those who have led the way for us. Trailblazers such as Ehret and Honiball, Morris Krok, Gustav Schlickeysen, Emmet Densmore and Charles de Lacy Evans have given me inspiration and enthusiasm for fruit as food. Their books make so much rational sense while also filling me with delight because their works helped bring together all the puzzle pieces needed for a deep faith and understanding of why this diet is so sane and well-balanced. 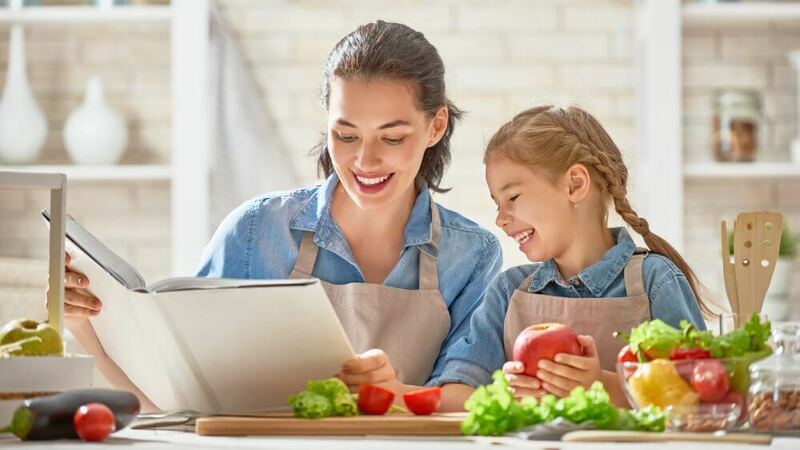 Therefore, having faith in this diet and lifestyle and a surety that is continually developed by each new piece of information and research studied can help create success in the long term. I believe that any diet, lifestyle or philosophy needs to be able to stand up to scrutiny and withstand criticisms and investigations. There are many resources that we can employ to develop and build up our faith in this diet. One valuable resource is to read the books of pioneers such as Ehret, Honiball, Krok, Schlickeysen, Densmore and de Lacy Evans. Although published many years ago, their words are just as relevant today as when they were written and maybe even more due to the many health challenges we face in the 21st century. Anne Osborne frequently shares newspaper clippings such as this one on her Facebook page. 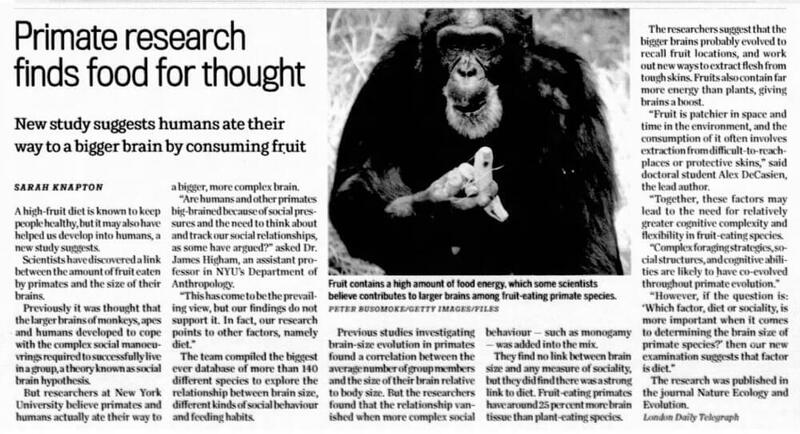 This newspaper research has contributed to Anne Osborne’s strong belief that a fruit diet is human beings’ natural diet. Another resource that can be utilised is newspaper archives, which contain articles from the late 19th century until the mid-20th century, promoting the use of fruit diets for healing the body and mind. 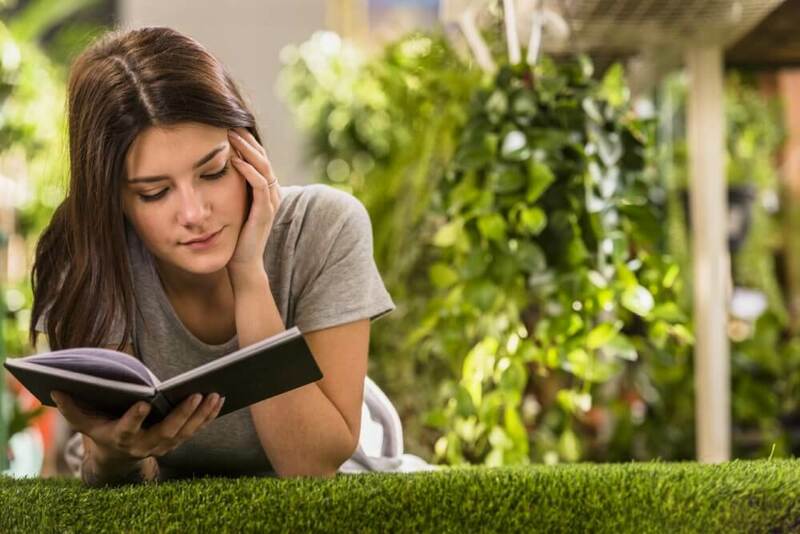 Standard biology and chemistry textbooks can also be valuable sources of information, backing up why humans are physiologically and anatomically designed to thrive on a fruit diet. So although the fruit diet resonates with me spiritually and on a somewhat ethereal level—that indefinable heavenly side, which is important to me—and whilst, ethically, the diet resonates with me, there is also a very substantial body of evidence that reinforces that this diet is the most rational and logical way to live in terms of its scientific validity. My faith in a fruitarian diet is continually being reinforced the longer I am on the diet and the more I read and research. To build your own faith in a raw vegan fruit-based diet, a faith that stands firm in the face of mainstream media misinformation and Big Pharma profits, I would suggest doing your own research. Read and find out as much as you can, and the truth will not only set you free but ensure your faith in this way of living is ever growing and has deep and solid foundations. 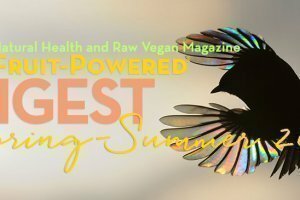 Anne Osborne went vegan at age 20 and then, a few years later, raw vegan in 1990. Anne has raised two children on raw food diets. She is the author of Fruitarianism: The Path To Paradise. 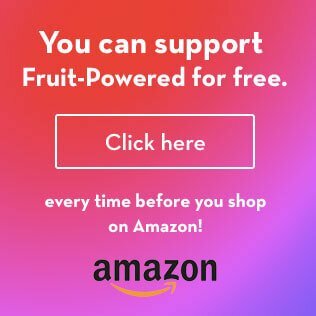 Anne's website is FruitGod.com.